After two days of strenuous riding, we were finally at the cusp of Bhutan. The scenery and topography had already begun changing. We could see hills in the distance and clouds above the horizon bunched up due to the sudden rise of mountains marking the beginning of the Himalayas. We didn’t expect any challenges today but that didn’t stop a few queer moments from surprising us. I should mention the elegant solution my fellow rider had found to the rock hard seat on his borrowed Classic 350. Meandering through markets in Siliguri, he picked up foam which was long and wide enough to cover the seat, and about 7 inches thick. Wrapping up this foam in plastic to protect it from the rain, he tied it to the seat firmly and voila! It felt like a camel back sofa! 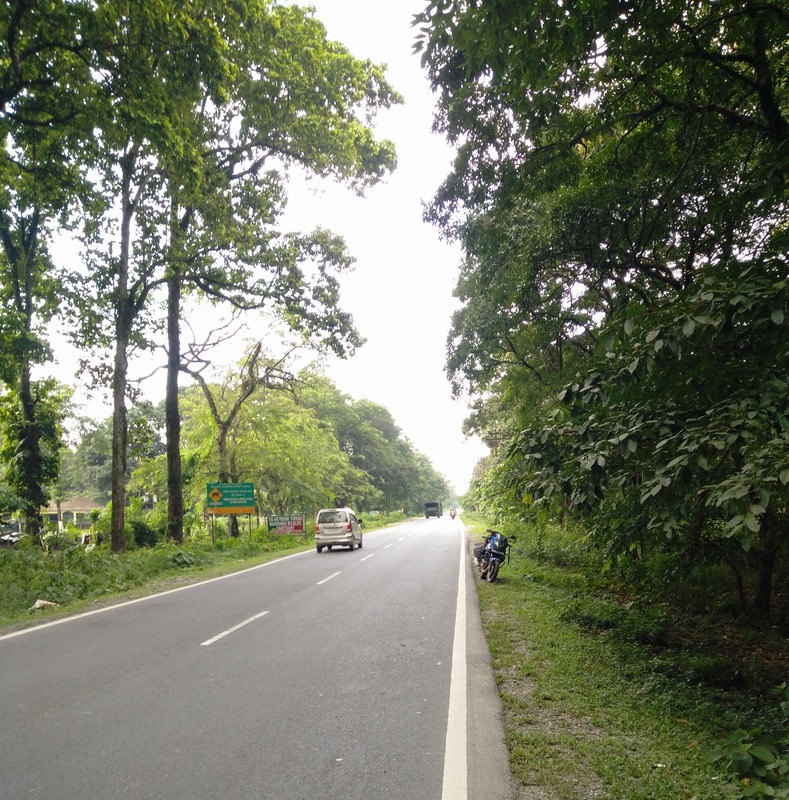 The roads changed abruptly once we exited Siliguri. Pine trees lined the shoulder and traffic was less dense. The laid back feel kicked in. Me: What's going on there? Random Police Guy: The Chief Minister of the state is attending an event. Me: I see. What sort of event is it? Me: How far is Bhutan from here? Me: Is this the road for Bhutan? Me: Do you live nearby? Me: Where can we find a restaurant here? This guy was … I don’t know.. Under an oath of silence or he had been smoking something recently. My fellow rider had a similar conversation with one of the officers. We must have struck out as a curious sight with our jackets and gloves and tonnes of luggage. They probably saw us as a security threat. RPG: What are you doing here? Abs: We're riding to Bhutan. RPG: Why is there a camera on your helmet? Abs: So that.. I can.. record videos?? RPG: Are you going to sell the camera in Bhutan? Truly unique technique of gleaning information. 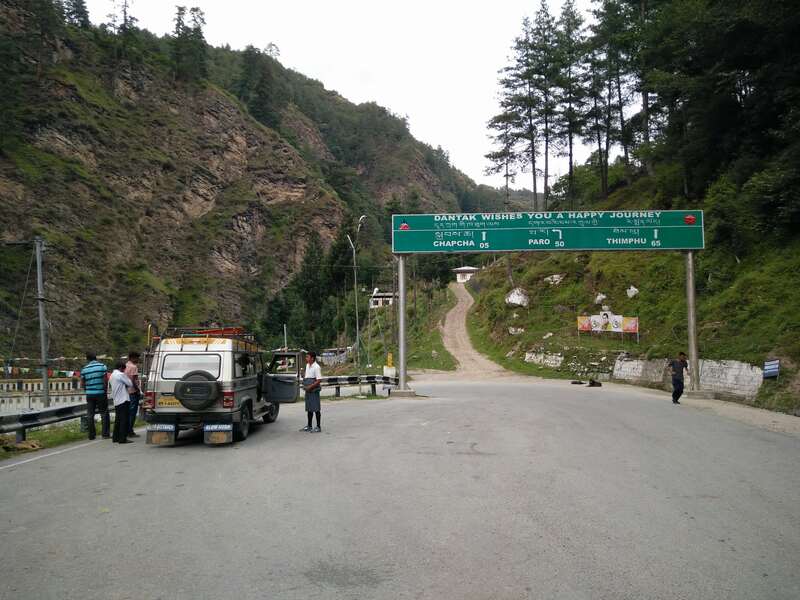 Anyhow, we rode the SAARC road which leads to Bhutan. Vehicles with Bhutan registration license plates were spotted every now and then. It was confusing at first because here in India, red background number plates are used for VVIPs only and here I was looking at an average family car with a red license plate. We reached a border town called Jaigaon at around 1 pm. The moment we crossed the gate at the border check post… nothing changed. It didn’t at all feel like a different country or people except for the building architecture. 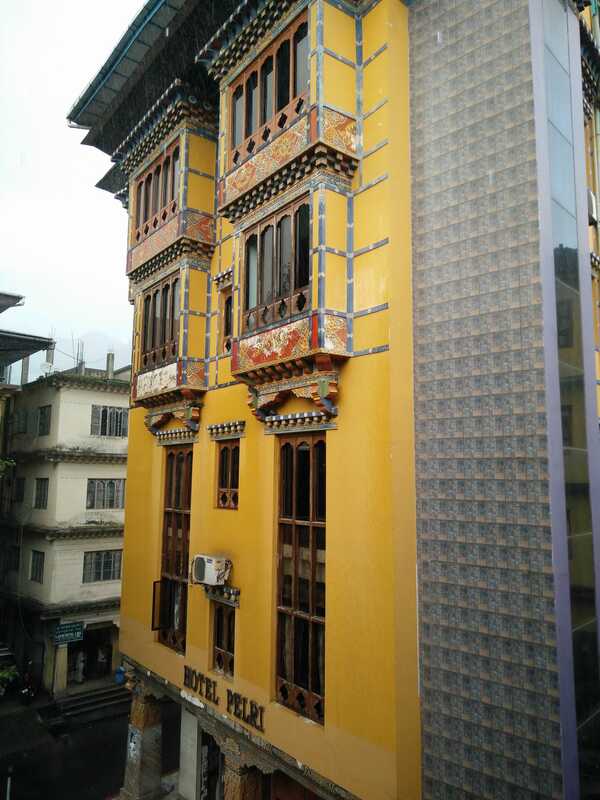 Bhutanese buildings have to conform to a certain architectural style and standard. We caught glimpses of people wearing the traditional clothing of Bhutan but that’s about it. Traffic seemed more organised. We parked our bikes and headed to the immigration office to get our permits. The process was simple enough. Fill up a form, they scan your fingerprints, take a photograph and that’s it! 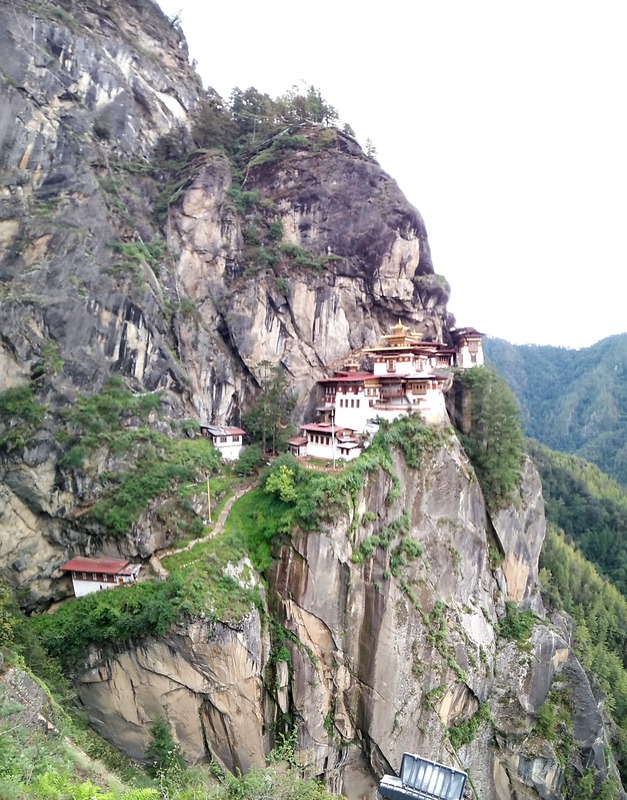 We had permits which allowed us to travel to Paro and Thimphu. 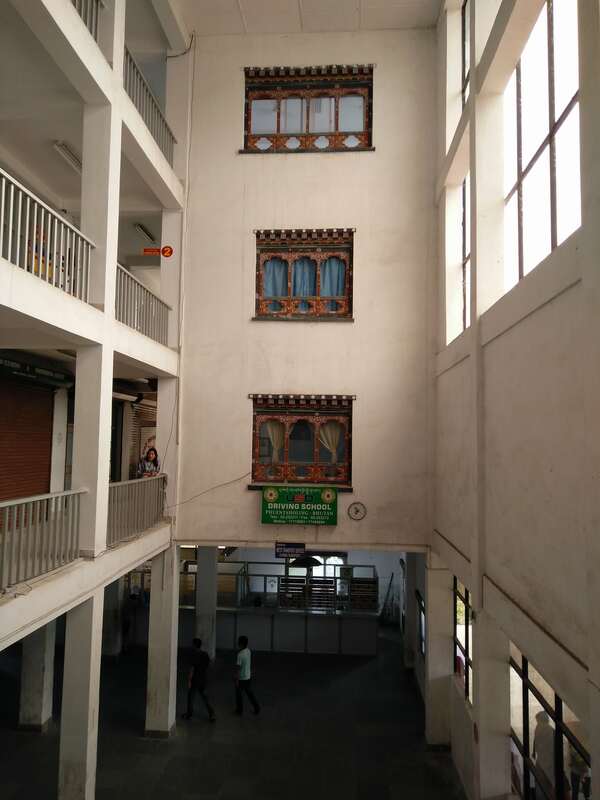 Extensions are carried out from the Thimphu immigration office. Now in all the jubilation of holding our permits in hand, we forgot that our bikes had to be registered before travelling through Bhutan. Each vehicle requires its own permit. We gladly sat down to eat some lunch and at the end of the meal it struck me like a lightning bolt. We hailed a cab and rushed to the RTO but it had closed down for the day. Cursing our luck we began looking for a hotel to stay the night. In hindsight, even if we would have got the permits that same day, the ride to Paro/Thimphu would not have been as interesting. It was nearly 3pm and had we started out at that time, we would have missed a great many sights. We freshened up and stepped out for some sight seeing. Spotted a shop selling mystical (?) momos. 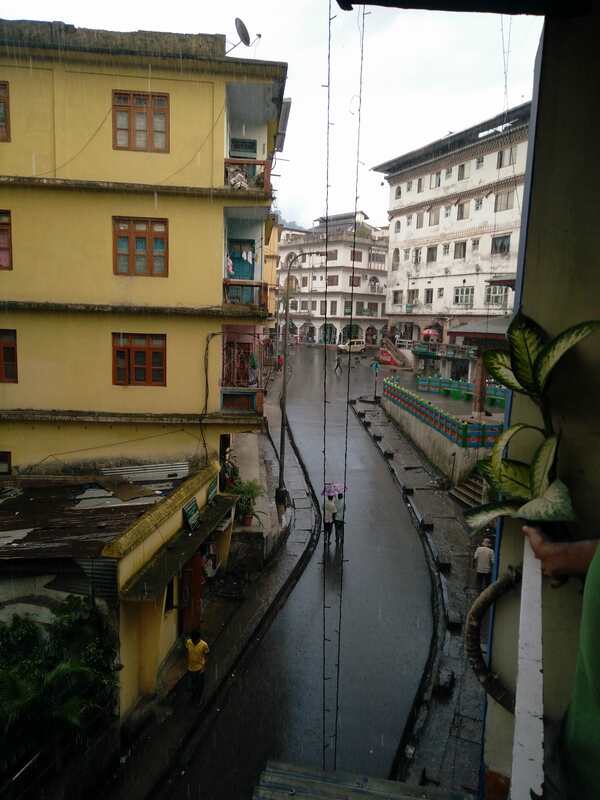 Walked over to India to pick up some supplies and back into Bhutan. No biggie. Walked around some more, took shelter from a thunderstorm and by the time it was over, everything had closed down. It wasn’t even 10pm! We managed to pick up fast food for a meagre dinner and I went off to never land while Abs harried on with his camera and batteries and transferring data and looking for touristy places. The next morning we were at the RTO before it opened. Obtaining the permits was a breeze. A nominal fee of 140 rupees was paid and we were ready to hit the road. Finally! Bhutan greeted us with winding roads and gorgeous weather. The ascent was smooth and unhurried. The sights, unparalleled. The dogs in these regions were small and furry and disproportionately aggressive. Our orange jackets and loud bikes were enough to trigger menacing responses but once we dismounted they probably realised that we were only human and would calm down. Eventually we encountered weather and fog and some curious signage. For the first time in my life i read these terms ‘shooting stones’ and ‘sinking zone’. Apparently shooting stones (pun intended) are quite real here. Ranging in size from pebbles to rocks, stones dislodge from their resting places and fall straight on the road. We had a couple of scary experiences when stones fell around us and one pretty much hit my visor while I was riding. Sinking zones are areas along the highway where the ground tends to sink during the rainy season resulting in consequences like depressed roads and landslides. A popular snack here and even in north-east India is called Wai Wai. These are pre cooked, dried noodles packaged along with masalas and spices. You just mix the ingredients, shake things up and eat straight from the packet. No cooking needed. The nutrition is questionable of course but it makes for a good snack. 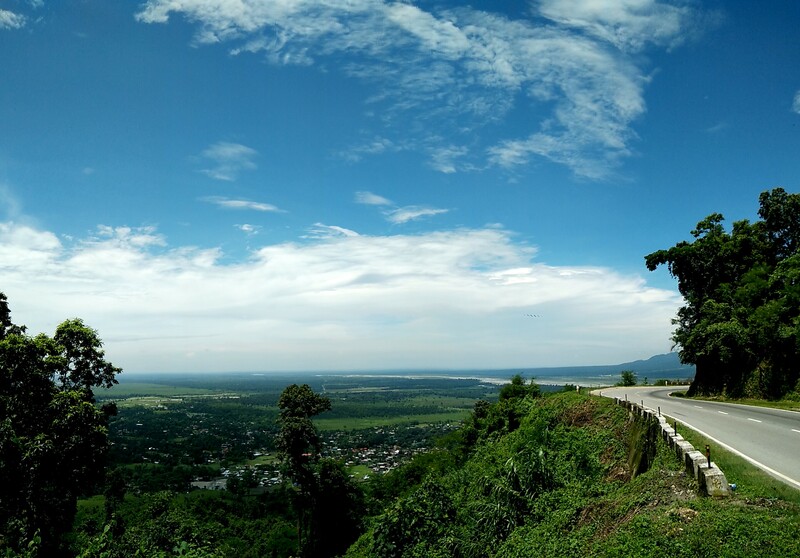 The road from Phuentsholing to Paro is in excellent condition. There are mesmerising sights all along the route and judging by the number of stops we made in the first couple of hours, it was going to take us the entire day to complete what would normally have been a 4 hour ride. 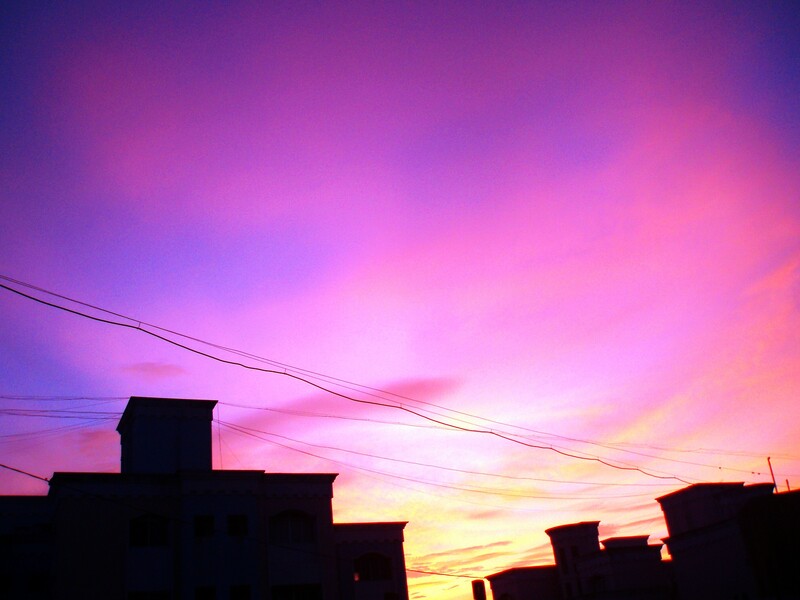 The scene above was alive with sound. Insects (beetles I assume) 4-6 inches long were everywhere. In the trees, down in the valley, on the road, on the slopes. And they were creating a ruckus! Utterly loud sounds emanated from each of them and the area was noisy enough to warrant shouts in order to communicate. At the next border check post we saw an erroneous sign board which told us take a steep uphill dirt path if we wanted to go to Thimphu. The officials at the check post were quite fed up of telling tourists that the sign was incorrect. We met a Bhutanese monk who also teaches at an ashram in Mysore, India. This was the first of many such people we met whose education or training in India had been sponsored by Bhutan. They came back to Bhutan once their tenure was complete. We stopped for a short break and while relaxing noticed that the sun had almost set. We had a good view of the clouds and mountains. Decided to wait until twilight in order to capture some time lapses and long exposure photos. We stayed at hotel Silverpine that night. A first rate hotel with superb rooms, service and wooden furniture. Since it wasn’t tourist season we had the entire 4 floor hotel to ourselves! The next morning we visited this stunning, hill-side monastery.